YES! If we can get some nice Nike replicas... So in! I like our current look and hope it sticks around for a while. "A season ago, North Texas struggled to put away games. All three regular season losses came after blowing double-digit leads, and the inability to get conversions on 3rd-and-short didn’t help. Reeder wants to rebuild the short-yardage game from scratch." THIS! This is the thing I look forward to seeing turned around! Sorry... I guess I should have been more specific. I don't know what he did either... but what I am saying is we arent owed anything in regards to knowing. Would I like to know... sure, but am I mad they arent telling us? Nah. He's a kid. He did something wrong that got him suspended. Also, I think people would react just fine if a 20 yr old welder got fired for "some unknown reason." In fact, I would love to see the message boards that talk about welders. I really do love conference realignment talk... (really, no sarcasm... 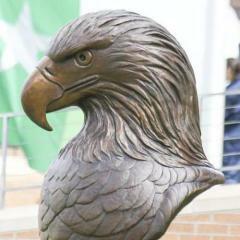 I love it) Lets be real... unless we win 4 of the next 6 CUSA titles, we will be living in SBCUSA world for quite some time. Once all the conference realignments start back up, I would love to see the better schools from SBC and CUSA come together for a conference that could start to rival AAC. I just hope we will be in those conversations! Yes, bc I am sure before Bodie got here, our tight ends just ran water out to players. So glad they are working on catching the ball now! This may open up a whole other can of worms here... but I would argue that the current version of the Sun Belt is stronger than CUSA. I do like playing more local schools in our current conference, but I think Troy could beat any team in our conference easily. The more I have sat on this today, the more frustrated I have gotten... We get what, $400k from TV contracts, and they will be getting millions? I know a lot of those schools are way ahead of us... but some are not. That fact alone makes me the most angry. I hope Wren jumps at the first chance we get at a stronger conference, whatever it may be... bc this is tough. Man... I haven't seen apoplectic used in a sentence since SAT prep. arkansas will play host to liberty university. So whos getting their Olawale jersey??? Yes... a lot of our facilities are seriously lacking. I would rather see those be brought up to snuff before adding another money drain. Like i would really like to have a football locker room that rivaled at least FAU Also, just asking the question... would you rather see a new basketball/volleyball arena before we got a baseball stadium. Yes... he deserves all the credit for those players. DRC: Pre-spring questions series -- No. 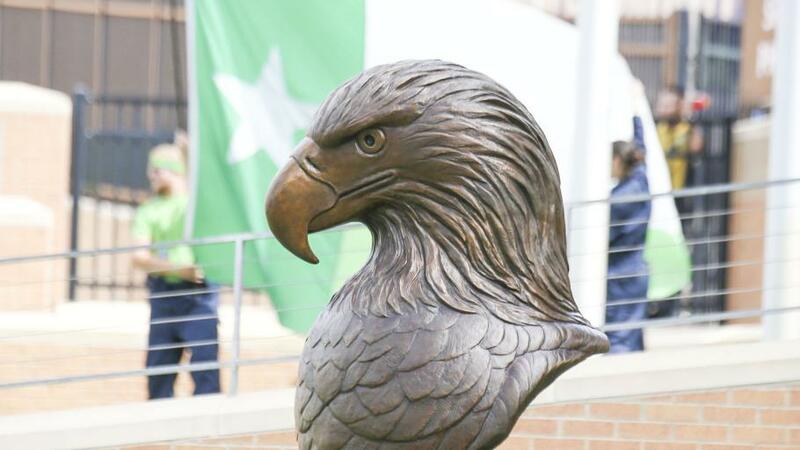 5: How does UNT adjust to staff turnover? I am excited about these new assistants. Yeah, I will miss having the brand of Graham Harrell around... but I look forward to seeing something new. We were a bad second half team and someone from the outside can see that. I think Bodie will adjust.